Brody’s Cause Wins $1 Million Toyota Blue Grass: The Albaugh Family Stable’s Brody’s Cause surged to the front at midstretch and cruised to a 1¾-length victory over My Man Sam to win the 92nd running of the $1 million Toyota Blue Grass (G1) before a crowd of 20,848 on a sunny but cool Saturday afternoon at Keeneland. Trained by Dale Romans and ridden by Luis Saez, Brody’s Cause covered the 1 1/8 miles on a fast main track in 1:50.20. The victory was worth $600,000 and increased Brody’s Cause’s earnings to $1,123,138 with a record of 6-3-0-1. 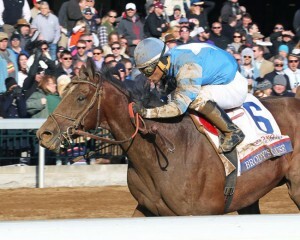 Brody’s Cause became the fourth horse to complete a Claiborne Breeders’ Futurity (G1)-Toyota Blue Grass double. 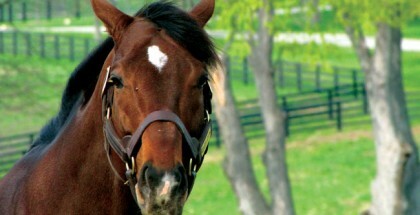 The others were Round Table (1956-1957), Dullahan (2011-2012) and Carpe Diem (2014-2015). Dullahan was trained by Romans. The victory was the first in the race for Saez and his third winner of the afternoon. Laoban led the field of 14 through fractions of :23.44, :46.75 and 1:11.44 as Brody’s Cause raced near the back of the pack. Entering the far turn, Laoban was coming under pressure from Star Hill and Cards of Stone while Saez began picking off horses. Entering the stretch, Saez swung Brody’s Cause wide, collared the leaders at midstretch and drew clear as My Man Sam and Cherry Wine rallied from far back to claim the second and third spots. 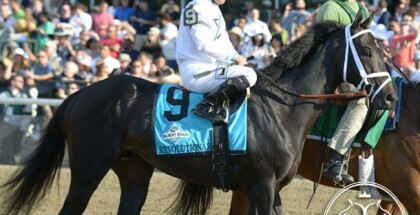 Brody’s Cause also locked up a spot in the $2 million Kentucky Derby Presented by Yum! 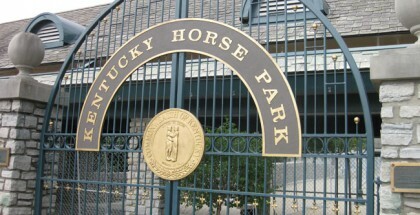 Brands (G1) on May 7 at Churchill Downs by earning 100 points on the Road to the Kentucky Derby. The Derby is limited to the top 20 point earners. Brody’s Cause has 114 points. My Man Sam picked up his first 40 points, Cherry Wine added 20 to his total to boost his count to 25 and Laoban hiked his total to 32 with 10 points for fourth. The Toyota Blue Grass winner returned $10.40, $5 and $3.40. My Man Sam, who rallied from last under Julien Leparoux, returned $5.80 and $4 with Cherry Wine finishing third a head back under Corey Lanerie and paying $3.60 to show. Laoban held on for fourth and was followed in order by Star Hill, Goats Town, Lookin for a Kiss, Donegal Moon, Crescent Drive, Cards of Stone, Zapperini, favored Zulu, American Dubai and Twizz. Racing continues Sunday with a nine-race program that begins at 1:05 p.m. ET.